Tallulah is a speedy power-hitter who is also a standout as a middle infielder. In March, Extra Inning Softball will unveil the Extra Elite 100 players in the Class of 2023 (schedule to be announced soon!) and prior to then we’ll profile some of the fast-rising athletes who will be the next generation of stars in softball from this class. 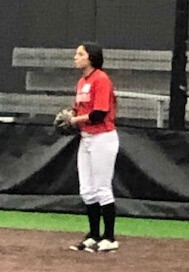 One who has been on the radar of scouts for a few years is Tallulah Pascucci, a middle infielder from Bentonville, Arkansas who will attend Bentonville High this fall and currently plays on the KC Peppers 18U team. Tallulah is playing up at the 18U level because "she is up for it." 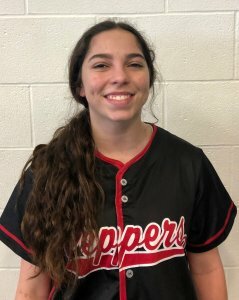 Prior to joining Jeff Wallace’s Peppers team, Tallula had played with the Tulsa Elite NWA 2022/2023 since 9U and has never had fewer than 34 steals in a season while being a career .400-plus hitter. In the fall, she also played on the Beverly Bandits - Allen 14U team that went 40-2 against 16U and 14U teams. 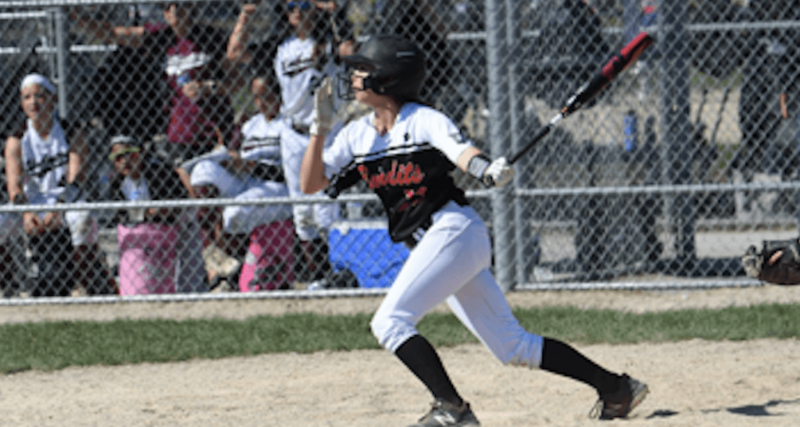 The softball/track athlete brings speed, power and defense up the middle as she’s mostly played shortstop and has shined against many of the top programs in the nation, earning All-American club honors at each age division. “Touee is advanced in her make-up and ‘ball IQ’ for her age,” explains Coach Wallace. Describe yourself as a player… what you do best to help a team win? My strengths on the field are being a 5-tool player. I can run and hit for power and make an impact defensively. Coaches say they like my speed and power and fast twitch ability, range and arm. The 2023 MIF/OF recently camped at Arkansas, seen here, as well as Baylor. You’ve been an All-American since your 11U days and now you’re playing 18U club ball! What do you want to accomplish this year and in the upcoming future? My goals for this year are to work hard every day to be the best I can be, both as a player and teammate. I am playing up this year to learn and grow as a player faster. I am preparing myself to have an opportunity to start as a freshman on a great high school varsity team at Bentonville High School and to be ready for college softball in the future. It's years down the road, obviously, but any idea where you want to go to college? I’m really interested in the Power 5 conferences.